When (if ever) do you plan on subscribing to Disney+ ? Discussion in 'The Mandalorian' started by DarthSnow, Jul 12, 2018. When do you plan on subscribing to the online streaming service Disney+? Immediately upon launch, there's too much great content to avoid. Oh, and because.. STAR WARS. Immediately. The Clone Wars returning changes everything! I'll evaluate once I see the price tag and what other content they have planned. As soon as The Mandalorian releases; I can't wait! You had me at Cassian Andor. I'm sure I will succumb eventually, but The Mandalorian currently isn't enough to do it for me. If they release new feature-length SW movies (i.e., Obi-Wan), I'm all in. Never subscribing, but I'll try to find other ways to watch that some consider to be... unnatural. I don't do online streaming. Hopefully they will also release new content on blu-ray at some point. I'll do a free-trial if offered, but I don't plan on keeping it and paying for it. I'm putting this little poll / discussion here since Favreau's new series The Mandalorian is widely assumed to be the first new Star Wars content available on Disney's upcoming streaming service. With The Mandalorian, featuring new characters and set a few years after Return of the Jedi, only being available on Disney's Streaming Service will that be enough to get you to subscribe? For instance, if you have no other interest in other Disney-related content, will you succumb to the machine and subscribe just for this show? There have also been rumors about the (rumored) Obi-Wan film going straight to online stream. If you don't subscribe for either of those, what will it take? I'll subscribe once it is launched because streaming services are what I use for everything and I know enough people who like Disney content that I can share the account with. It was enough of a pain trying to watch rebels without a Disney XD subscription and would rather not have to go through that process again with the new content. I live in a country that has excellent internet connection (in most cities) and with a piracy so "developed", that it's pretty much a waste of money to subscribe to anything like that. I stopped pirating games, because in Steam and GOG they are constantly updated, unlike the pirated versions, so a streaming service has to offer something beyond the shows themselves to make someone like me actually spend money on subscribing to it. Yeah, I know, this approach might seen unthinkable to a Westerner, but that's the "sad" reality we live in here. 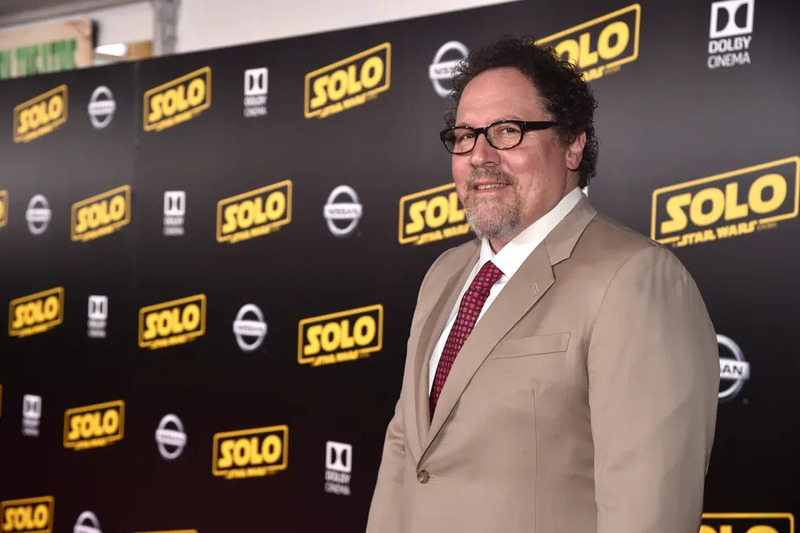 I'm putting this little poll / discussion here since Favreau's new series is widely assumed to be the first new Star Wars content available on Disney's upcoming streaming service. Since his series, featuring new characters and set a few years after Return of the Jedi, will only be available on Disney's Streaming Service will that be enough to get you to subscribe? For instance, if you have no other interest in other Disney-related content, will you succumb to the machine and subscribe just for this show? That is a question I've been pondering for a while! I really would want to see the show before every article is about how good/bad it is, or how it expands/destroys the GFFA, but I don't know if I want to pull the trigger on a Disney streaming service! Haha. It would be nice if there is a lot stuff that makes the whole deal worth subscribing to without a second thought, but I'm on the fence. I may get the first month free to watch the show, cancel, and then wait for the next flyer to come in and subscribe again to see an Obi-Wan spin-off. If it were simply a Star Wars streaming service, then I'd do it without hesitation. Well in the UK I have no idea how it’s going to be shown over here If it’s on Disney XD at some point that’s easy as it comes as a add on to my existing NOW TV (Basicliy a rolling monthly SKY subscription). If not I can hope that Fox takeover of SKY & then Disney takes over FOX as then it might appear as part of my package. If neither of those options pan out I will just have to read all the reviews here & then hope it come out either on Blu-Ray or it eventually could mes out on another channel. yeah, in truth, if i can't just enter my payment information somewhere and it magically happens on my TV or AppleTV, there's little chance of me subscribing and i'll end up on the Hondo ship. I'm also curious what kind of Marvel content they'll be. But it'll certainly be a mistake if it isn't a launch title. I don't really follow Marvel news, but have they announced anything Marvel-related for this platform?? I kind of assume that shows like Daredevil, Luke Cage, Jessica Jones, etc. on Netflix will eventually end up on Disney's stream, if the series run that long to see its launch. I'm just guessing there will be. I think I'll probably give in to the machine. I really want to see this show and the temptation might be too hard to resist. If, and I know it's a big IF, they do make an Obi-Wan film that goes immediately to Disney streaming then I will get it without a doubt. Obi-Wan is my favorite character in the Star Wars universe, so there is absolutely no way I'll miss it. BTW, when does the streaming service launch? Disney needs original content in their streaming show. Putting Marvel, Pixar, and Disney films there is great, and will no doubt put a big dent in Netflix, but they cannot compete with other streaming services without this live action Star Wars show. I will subscribe as soon as this show is released. I've heard fall of 2019 being kicked around for Favreau's series, so I'm guessing that is pretty much when the service will launch as well. Probably early October to kick off the 4th fiscal quarter. Here's a good article talking about the service as a whole, but a lot of it still seems more speculation and rumor than fact. Per the article, it seems there is an additional Star Wars show planned (do we know anything about this? did I miss something?) and at least one new original Marvel show as well. If Fall 2019 is the timeline they are kicking around, I wonder if they will wait until after the release of episode 9 since that's going to be what I imagine Disney throwing all their weight behind. I'm thinking they will try to get this up and running before that. Get this service out of the way in late summer / early fall, then its all Ep.IX until December. "The final chapter of this Star Wars trilogy releases in December; check out the first two installments and other Star Wars content on [Disney-flix], available now!" That would definitely make sense. Only thing I would worry about is if they don't launch until Fall 2019 with Favreau's series there may be competing going on between that new series and Episode 9 and I would hate to see the new series get a little bit of the cold shoulder in favor of putting everything behind 9. Yeah I hear you. I'd say Favreau is definitely on a tough crunch to get his series done not only to highest quality possible, but also on time. Though, if it does get pushed back a few months or it doesn't gain a lot of traction at first, I wouldn't worry too much. Post-Ep. IX is going to be a hungry time for SW fans. I'm sure many who have otherwise put it off will seek out this show once the ST trilogy withdrawal kicks in. I'm definitely looking forward to his show whether it comes out pre or post Ep. IX and normally I wouldn't be concerned, but ever since Solo and all the backlash that got for its box office performance, I'm more hesitant now and feel bad for creators because the margin for error is now most likely even smaller when it comes to new Star Wars content and how that content performs financially (butts in theaters, eyes on screens, etc...) rather than on quality of the content. Is Favreau's show out at launch? Basically, I'll probably wait for Star Wars content to roll in before I subscribe.